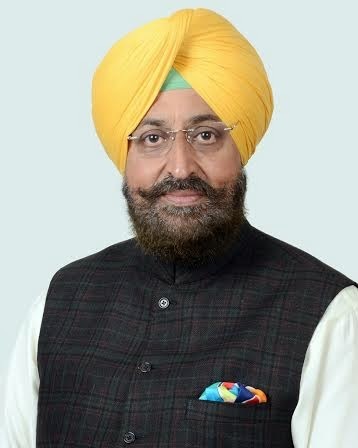 Chandigarh: The Punjab Pradesh Congress Committee President, Mr. Partap Singh Bajwa, today said his party humbly submitted itself to the mandate of the people and at the same time renewed the pledge to continue to serve the people in every possible way and try to come up to their aspirations and ambitions in the changing world. In a statement issued here today, he conceded that the Congress could not fully respond to the sentiment of the people which was characterised by anger against the Akali Dal-BJP government in the state. He said the people were disgusted with the increasing menace of drugs, goonda raj and sky rocketing prices of the construction material including sand and gravel. In the some areas in the state, this sentiment was neutralised to an against by the wave in favour of Mr. Narendra Modi and partly by the double anti-incumbency cancelling out each other. He attributed the damage to the Congress in Punjab to the unexpected sympathy of the people that the Aam Aadmi Party succeeded in getting. This fledgling party immensely benefitted from the anti-incumbency against the Akali Dal-BJP government. But for AAP, the results would have been differently in this border state leading to the total rout of the Akali Dal-BJP alliance at the hands of the Congress. The strategy of the Congress had mainly been to confront the ruling alliance keeping in view the tsunami of anger among the people but somehow the party misjudged the likely effect of the AAP intervention. The Congress would draw lessons from this situation of the contest turning triangular. “At this critical juncture, the Congress re-dedicate itself to the people of Punjab and hereby make a solemn commitment to be one with them. We will take strength from this crisis after doing introspection and chalk out our pro-people future plans. The partnership of the Congress with the people of Punjab would be made everlasting based upon the changing socio-political contours of the changing world”, he said. The PPCC chief said this was not the time for the party men to sulk but to take the next step with added vigour by taking along people to get them relief from the tyrannical Akali Dal-BJP government headed by Mr. Parkash Singh Badal but in effect run by his Deputy Chief Minister son, Mr. Sukhbir Singh Badal, with which the people were totally fed up as had been reflected in this election.“Of course, the results in Punjab are unexpected but then the same has happened at the national level. This set back will not dishearten us. People are our strength as the Congress has always been and would continue to be one with them. This bond with the people would be further strengthened and we will share their every joy and sorrow. This relationship will not be dictated by just political compulsions but the basis of this binding would be personal and social’, he added. He said the party would start working among the people without wasting even a single day and moibilise them for a better future, a future to which the younger generation aspires and the older generation gets the feeling of having made a positive contribution towards the destiny of Punjab.